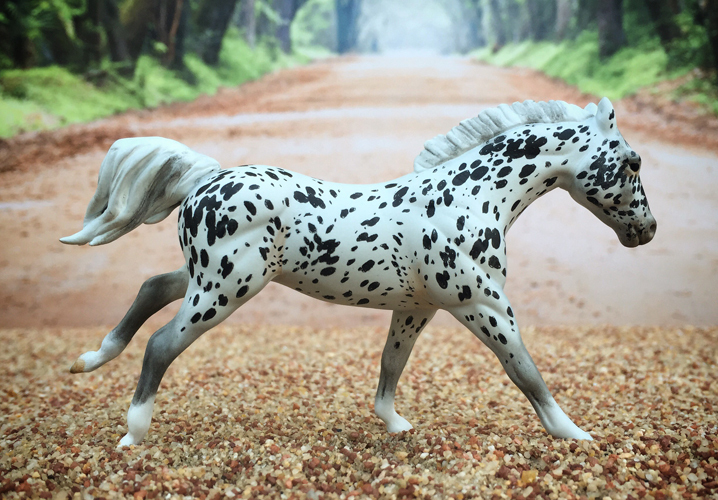 TIBBP Donation CM SM to a semi leopard Appy. 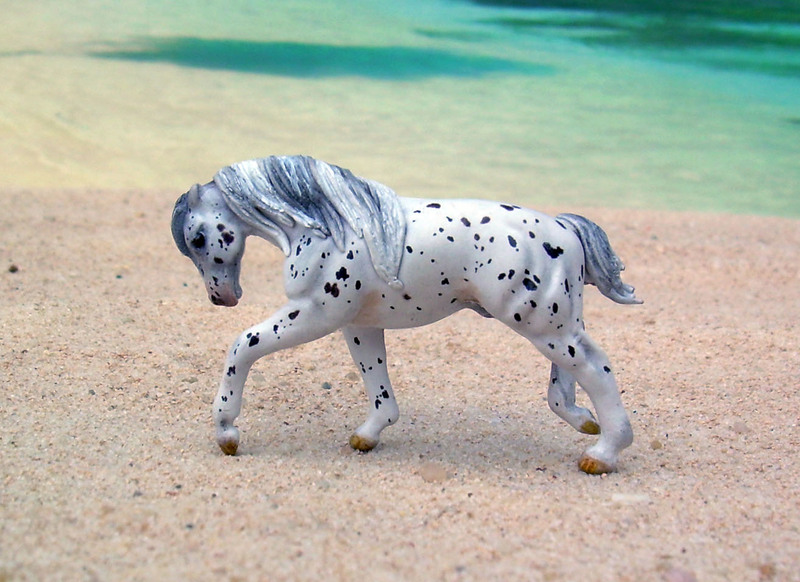 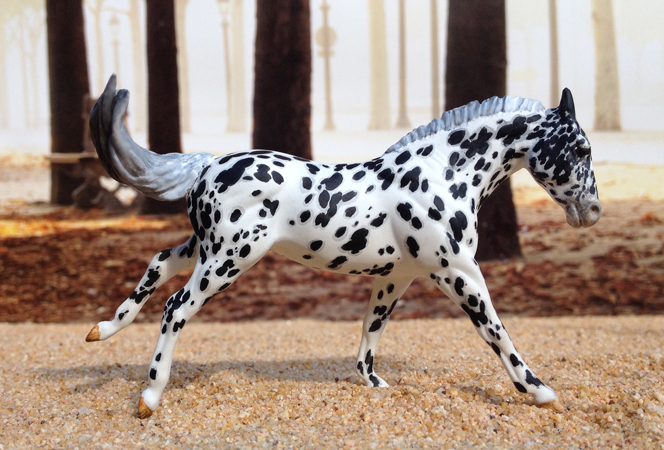 Mini Whinney drafter given a new mane and tail and painted to a black leopard Appaloosa. 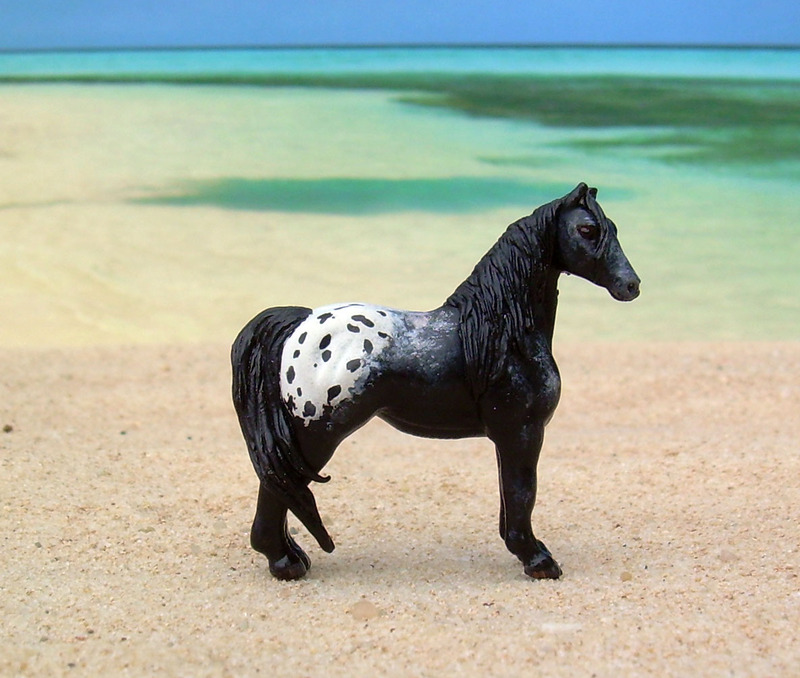 Mini Whinney drafter given a new mane and tail and painted to a black blanket Appaloosa with roaning. 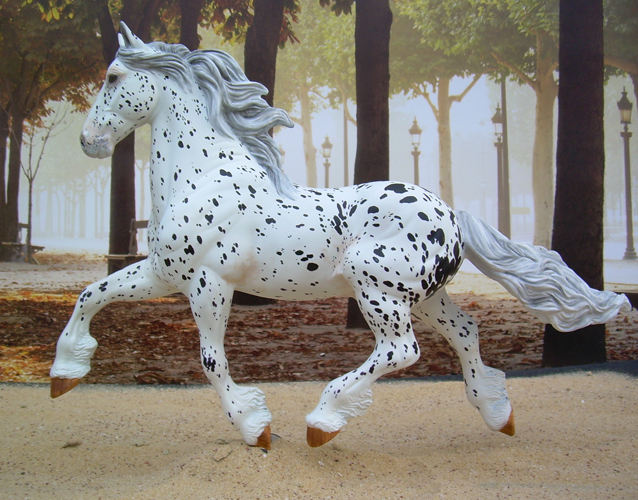 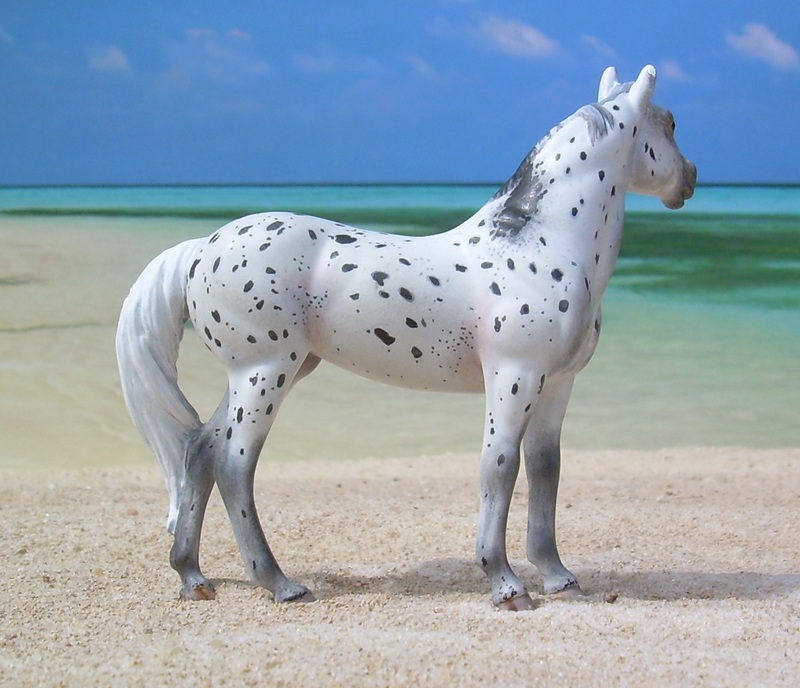 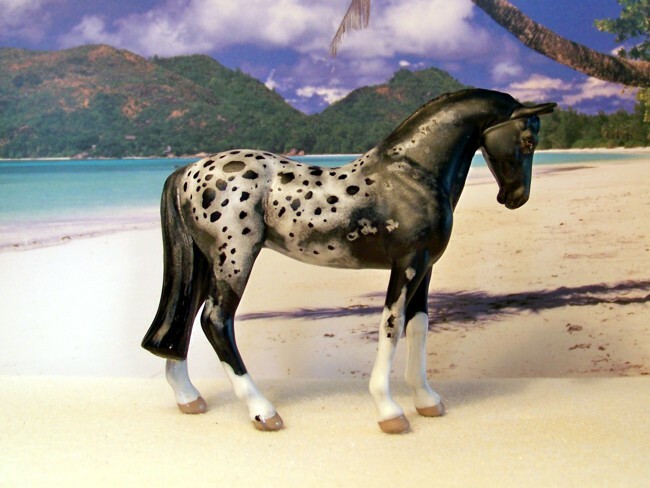 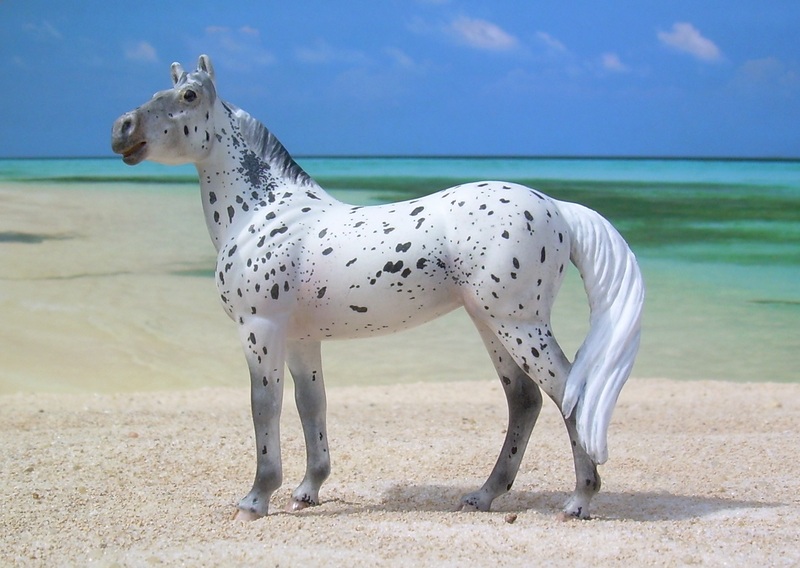 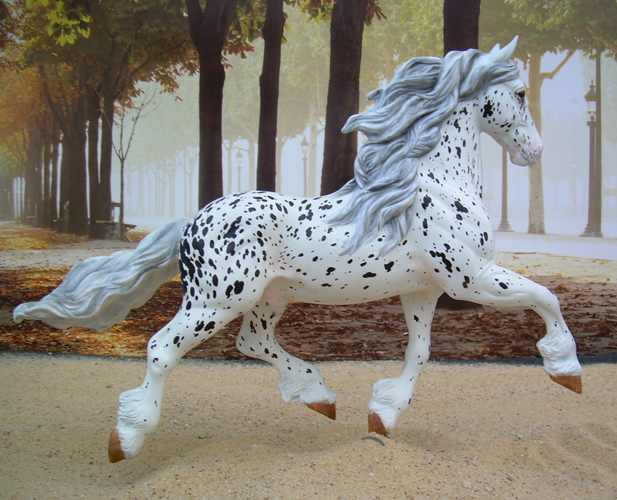 Stablemate stock horse repainted to a black leopard Appaloosa. 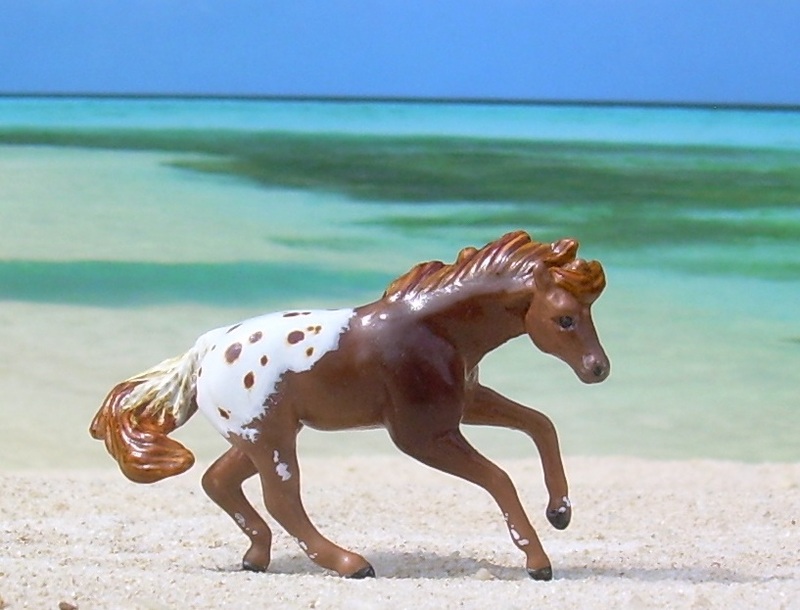 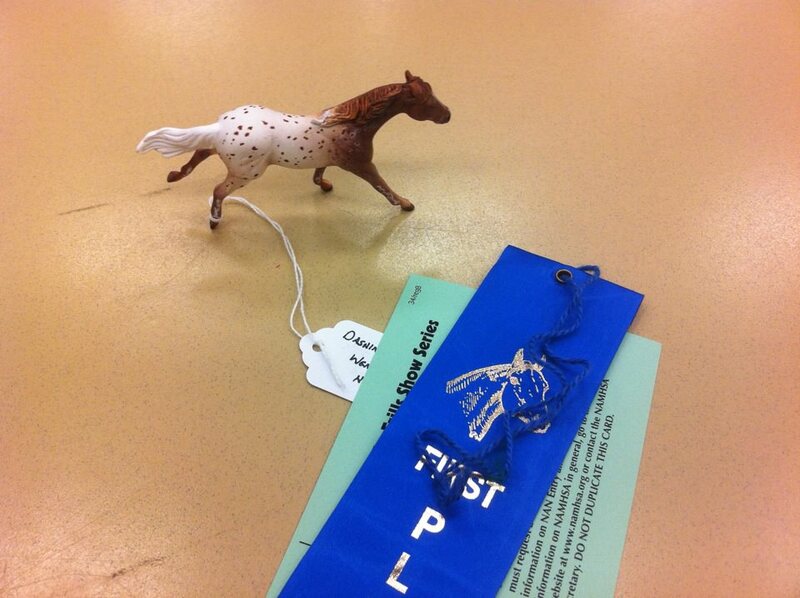 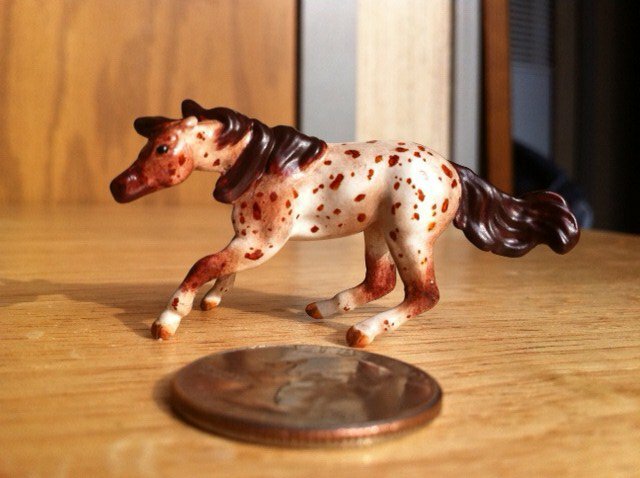 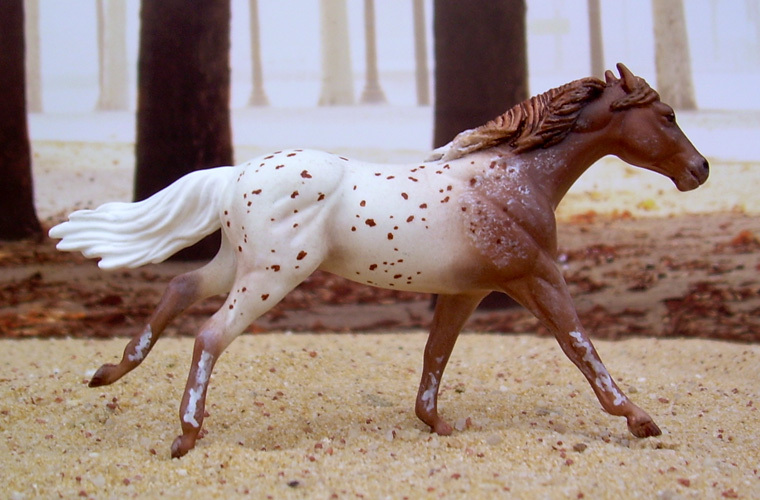 Repaint Mini Whinney to a red roan leopard Appaloosa. 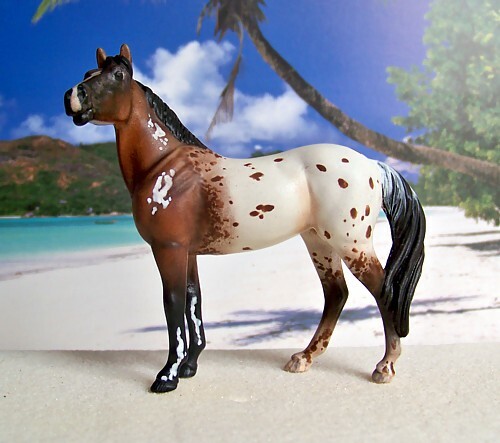 Repaint SM Mustang to Black Blanket Appaloosa.